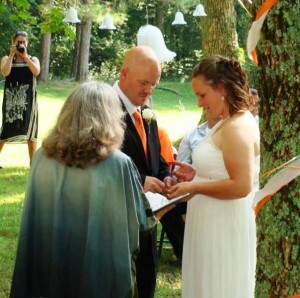 How do you get a marriage license in Clermont County, Ohio? If either the bride or the groom are a resident of Clermont Count you can get your license at the Probate Count house located at 2379 Clermont Center Drive, Batavia, OH 45103. With this license in hand you can have your marriage performed any where in the State of Ohio. 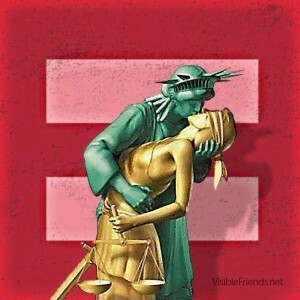 Out of State residents must obtain their license in the Ohio County where the marriage ceremony will be performed. If you live out of state and you are planning your wedding in this beautiful Ohio county then you must make the trip to Batavia, locate the Probate Court House and obtain your license. The good news is that as long as you have all the necessary document they will issue the license the same day and the license can be used on the same day that it is issued . It remains valid for 60 days from the date that it is issued. There are no tests, blood or otherwise required to get your license. The bride and groom must both appear in person at the Clermont County Probate Court between the hours of 8:00 am and 4:00 pm on Monday thru Friday, except for legal holidays. Each of you must have a photo ID, typically applicants use their Driver’s license, State ID, Passport or other Immigration and Naturalization Service ID. The cost is $44 and you must have CASH. If either applicant has been married previously and divorced, the most recent file stamped copy or certified copy of the final divorce decree or dissolution is required. If the previous spouse is deceased, a copy of the death record is required. I am from Clermont County and I would be happy to marry you at any location you select. There are some wonderful venues in Clermont County and numerous parks and outdoor locations. 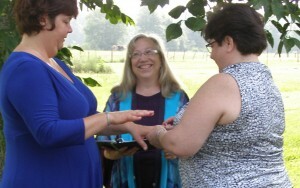 I also perform simple ceremonies in my Milford, Ohio home for $125 paid in advance with PayPal or $150 cash at the time of the wedding. If I come to your location travel time is added. All you need is a valid marriage certificate and IDs with you for the ceremony. 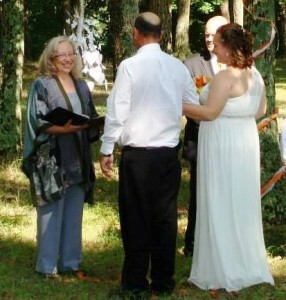 After one wedding ceremony in my home, the bride said “That was like a real wedding!” Indeed, it was a ‘real’ wedding. Just because you choose to elope or plan a simple exchange of vows does not make the ceremony any less meaningful or powerful. I strive to make every ceremony sing a song from the heart.